Advocate Staff Photo by Travis Spradling. DIT Picture shot on 6-21-00 Michael Wearry,22, of Ponchatoula, at Livingston Parish Courthouse for arraignment on first-degree murder charge in the April 4, 1998 killing of Eric Walber, an Albany, La. high school student who was 17 at the time. Other charges include aggravated kidnapping, armed robbery and carjacking. A Louisiana death-row inmate will be tried again in the brutal slaying of an Albany teenager after the U.S. Supreme Court on Monday reversed the 2002 murder conviction, saying prosecutors failed to disclose evidence that could have helped the defense. 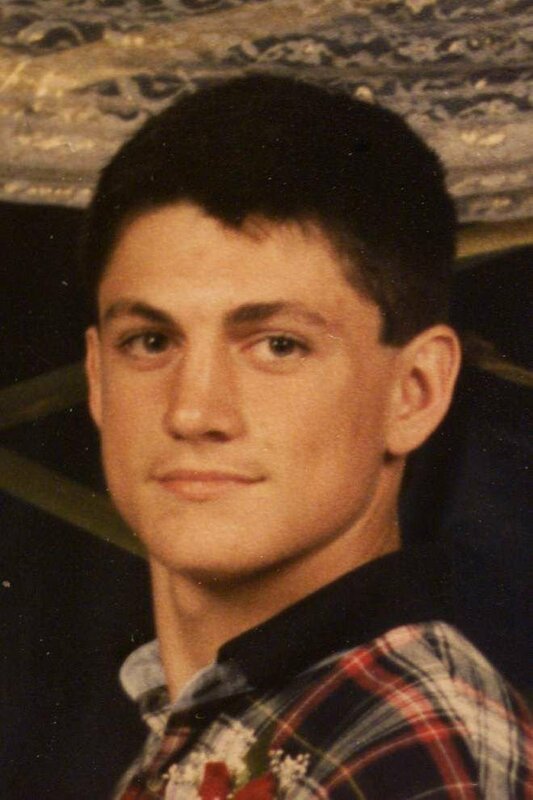 A Livingston Parish jury voted unanimously to sentence Michael Wearry to death in the murder of 16-year-old Eric Walber, an Albany High School honor student and football player who was robbed, beaten and run over with his own car after he finished his pizza delivery shift on April 4, 1998. The court said the state’s trial evidence “resembles a house of cards” built on the questionable testimony of a prison informant whom other inmates said was seeking revenge against Wearry. Prosecutors should have turned over evidence casting doubt on the credibility of the informant and another witness who testified against Wearry, the justices said in an unsigned opinion. The state also failed to disclose medical records that raised questions about the informant’s description of the crime. “Beyond doubt, the newly revealed evidence suffices to undermine confidence in Wearry’s conviction,” the court said. 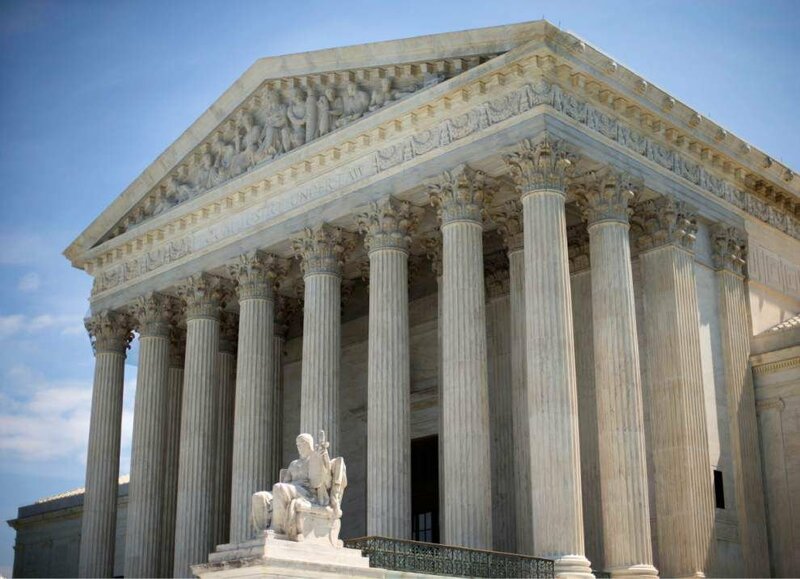 Wearry’s attorneys hailed the decision, saying the U.S. Supreme Court “recognized today that Michael Wearry should not be ‘forc(ed) … to endure yet more time on Louisiana’s death row in service of a conviction that is constitutionally flawed. “While we wish that the evidence had been disclosed at the time of trial 16 years ago, today’s reversal of Mr. Wearry’s conviction puts him one step closer to vindication,” attorneys Edward Cassidy, Jim Mayer, Aaron Novod, Cari Athens, Matilde Carbia and Letty DiGiulio said in a written statement. District Attorney Scott Perrilloux, of the 21st Judicial District, said he intends to retry Wearry, now 38, for the crime and will again seek the death penalty. Efforts to reach Walber’s family Monday were unsuccessful. Wearry was implicated in the case nearly two years after Walber was found lying face-down on the side of a gravel road just west of Hammond. The inside of Walber’s blood-stained car, recovered a week after the slaying, indicated he had fought for his life. Authorities said it appeared Walber had been abducted in Livingston Parish, then killed in Tangipahoa Parish. The case was tried in Livingston. Sam Scott, jailed on unrelated charges, told authorities two years after the crime that Wearry and four other men had confessed to him that they shot Walber and drove over him before leaving his body on Blahut Road. Walber had not been shot, and his body was found on Crisp Road, on the opposite side of Interstate 12. Scott gave four more statements throughout the investigation, each differing in material ways, the U.S. Supreme Court said. At trial, Scott told the jury he had been playing dice with Wearry and others when Walber drove past. Wearry, who was losing, decided to rob Walber, Scott testified. Wearry and an acquaintance, Randy Hutchinson, stopped Walber’s car and forced him into the vehicle’s cargo area. Scott, Wearry, Hutchinson and two other men then drove around, stopping at various locations to beat Walber and to talk to Eric Brown, the state’s other main witness. The men later took Walber to the gravel road, where Wearry and two other men killed the teen by hitting and running over him with his car, Scott said. On cross-examination, Scott admitted he had changed his account several times. And Brown, who testified he had seen Wearry and the others with a man who looked like Walber, also acknowledged he had made prior inconsistent statements. But what the jury didn’t hear — what the U.S. Supreme Court said prosecutors failed to disclose — was that police reports indicated Scott had told another inmate he wanted to “make sure (Wearry) gets the needle cause he jacked over me” and that Scott had recruited a third inmate to lie to the police about witnessing the murder. Prosecutors also failed to disclose that Brown, who was in jail on unrelated charges at the time of trial, had twice requested a shorter sentence in return for his testimony. Instead, “the State commented during its opening argument that Brown ‘is doing 15 years on a drug charge right now, (but) hasn’t asked for a thing,’ ” the Supreme Court said. Perrilloux, the district attorney, said former Assistant District Attorney Charlotte Foster told him Monday she did not recall having seen or heard about Scott’s statements to other inmates while she was prosecuting Wearry’s case. Foster, who is now a judge in the 21st Judicial District, also thought it was more relevant that Brown had not received a deal in return for his testimony, despite his requests, Perrilloux said. The Supreme Court said prosecutors also should have turned over medical records showing that Hutchinson had knee surgery only nine days before the murder, casting doubt as to whether he could have dragged Walber out of the car and lifted him into the cargo area, as Scott had testified. Perrilloux said the defense knew of Hutchinson’s surgery, and the only medical record in the prosecution’s file was a hospital note that Hutchinson had been discharged before the date of the crime. Wearry’s defense rested on his claim that he had been at a wedding reception in Baton Rouge at the time of the slaying. His girlfriend, her sister and her aunt backed up his story, but the bride testified the reception ended about 8:30 p.m. or 9 p.m.
Walber’s death occurred sometime between 8:20 p.m. and 9:30 p.m.
After he was unanimously convicted of first-degree murder, Wearry told Walber’s parents during sentencing that he did not kill their son. Wearry’s former attorney, Corbett Ourso, lodged numerous objections during the trial, including a challenge to the case being tried by an all-white jury in Livingston Parish, when the killing had occurred in the more racially diverse Tangipahoa Parish. Wearry is black. On appeal, Wearry raised many of the same objections, but also claimed ineffective assistance of counsel, saying his trial attorney had relied solely on evidence the state and Wearry provided, rather than seeking out other witnesses who could confirm his alibi. Attempts to reach Ourso for comment Monday were unsuccessful. Five men, including Wearry, were indicted in Walber’s death. Wearry, whom prosecutors had identified as the ringleader of the group, was tried first. Then came Shadrick Reed, who was found guilty of second-degree murder in 2003. Reed, now 36, received a mandatory life sentence without benefit of probation, parole or suspension of sentence. Hutchinson, now 37, pleaded guilty to manslaughter the same year and was sentenced to 20 years in prison. A first-degree murder trial for James “Pop” Skinner ended with a hung jury in 2004. Prosecutors retried Skinner, now 37, on a reduced count of second-degree murder in 2005. He was convicted and sentenced to mandatory life. In between Skinner’s two trials, Darrell Hampton, now 38, was convicted of second-degree murder in the case and also received a mandatory life sentence. In 2005, Scott — the convict whose admissions broke open the investigation — pleaded guilty to manslaughter for his role in the crime. As part of his agreement with the District Attorney’s Office, Scott received a 10-year prison sentence. Follow Heidi R. Kinchen on Twitter, @HeidiRKinchen, and call her at (225) 336-6981. Albany High student's murder two decades ago shocked community, but was justice served?